Innovative Serial Spy is a serial port monitor for Windows that enables you to monitor and record all serial port activity between any Windows application and an attached RS232 device. Innovative Serial Spy is easy to use and does not require any special hardware or cabling making it the ideal tool for remote troubleshooting. Simply install the software and begin serial capture. Innovative Serial Spy supports x86 (32Bit) and x64 (64Bit) versions of Windows7, Vista, XP, 2003/2008 Server and Windows 2000. Data capture and logging of all activity between any application and the Windows serial driver on the x86 or x64 versions of Windows7, Vista, XP, 2003/2008 Server or the x86 Windows 2000. Log file is created in plain text making it easy to distribute the captured information to a third party. Supports all COM port types including USB to SERIAL converters, internal modems, and Bluetooth serial ports. No dedicated hardware required. You will be up and running in minutes. Capture changes to the baud rate, word length, parity, and stop bits. Capture port open/close along with the Windows process id of the application using the port. Capture changes to all control lines (DTR, RTS, DCD, DSR, and RI). Status of control lines are also visualized in a break out box. Capture serial errors such as parity and overflow errors. Built in search engine allows for searching on any captured data pattern. Innovative Serial Spy uses a special kernel mode filter driver that inserts itself into the Windows driver stack and silently monitors the activity between any Windows application and the operating systems serial driver. 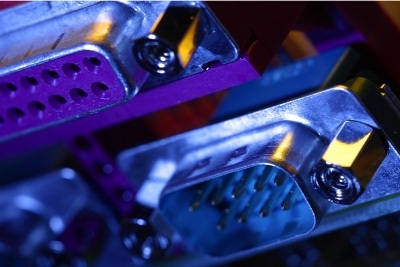 No special cabling or hardware is required and it will work with any serial port detected by Windows. Simply install the software on your PC, configure it to spy on the correct port, launch the target application you want to spy on, and you are ready to start observing serial data flows between the target application and the serial port it is using. Innovative Serial Spy can also monitor any device connected to your system through a USB to RS232 converter such as barcode scanners, label printers, and cell phones. Can it be used as a line analyzer? No Innovative Serial Spy is a software only solution and is designed to work internal to your PC and silently spy the communications activity on any serial port enumerated by the operating system. If you need a byte level RS232 line analyzer please see our SI_SCOPE RS232 Analyzer product. SI_SCOPE comes with the required hardware to tap an RS232 circuit and can also operate in spy mode. 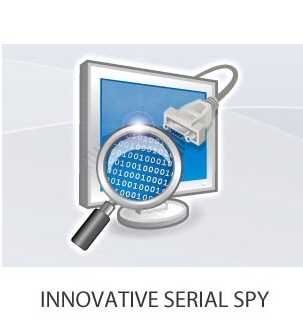 Who uses Innovative Serial Spy? Basically anyone who is involved in the design or support of Windows serial communications will benefit from using Innovative Serial Spy since it allows the user to visually inspect the activity between any Windows application and a serial port on the system. Monitoring serial (RS232/RS422/RS485) data flows between Windows applications and external devices. Remote troubleshooting of installed RS232 devices. Copyright © 1996-2017 Software Innovations, Inc. All Rights Reserved.